Sound like the professionals with an authentic Ivory Coast djembe hand-carved from Iroko wood and assembled by our master drummer and drum-maker, Abel Guie. Quality really does make a difference in bringing out the slaps, tones, and bass! The shell is made from the Iroko tree, a native tree from the Ivory Coast. This wood is strong and durable, yet lighter than domestic hardwoods, and is the wood of choice for Ivory Coast drum shells. The drum head is made from African goat skin, which gives these drums their unique sound. 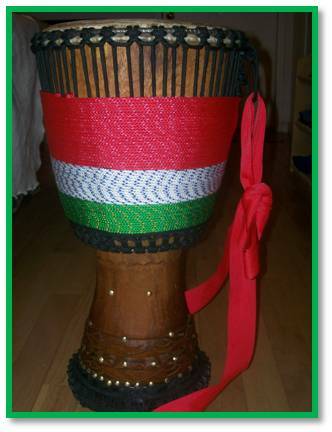 Each drum is unique and drummers are encouraged to try one out prior to purchase to find one that best matches their playing style. Tune your djembe!!! Is your drum sounding flat or is it difficult to distinguish between your slaps and tones? 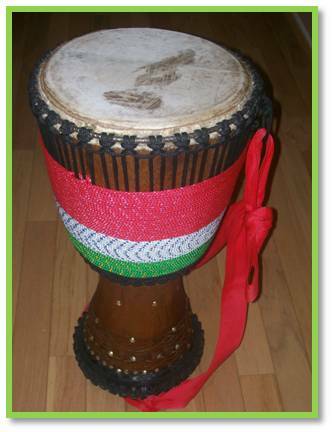 Your djembe may be due for a tune-up! Have your drum tuned by our master drummers or have them teach you how to tune your djembe on your own!